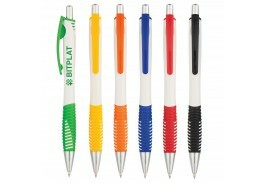 Pens with rubber grips are a simple idea that has made the art and craft of writing by hand much more comfortable. 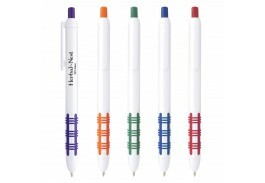 If you have customers, clients or others who write a lot, custom promotional rubber grip pens from the Promotional Pen Store make a perfect gift. 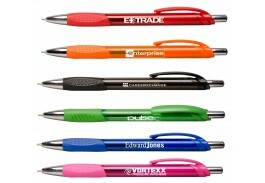 It doesn't have to cost a fortune to give away these comfortable, easy-writing brand builders. 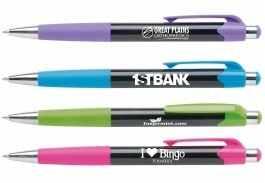 We stock many rubber grip pens that cost lest than 20¢ a piece. 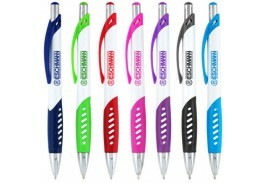 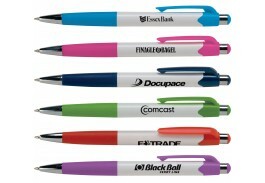 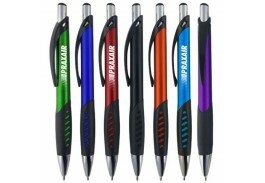 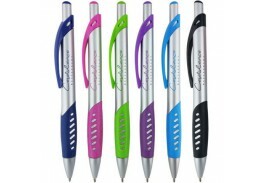 You can get a quality pen with your logo and custom message, letting you build lots of goodwill for your organization. 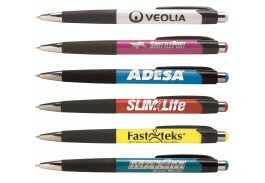 Small in price, customized rubber grip pens pay big dividends in extending public knowledge of your name. 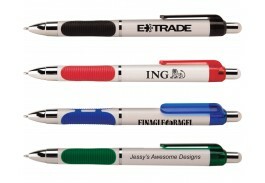 At the Promotional Pen Store, personalized rubber grip pens come in many styles, sizes and colors, so you'll be able to find exactly the right promotional pen to fit your marketing strategy and budget. 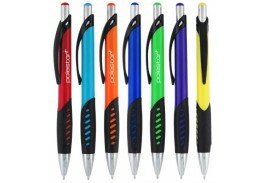 Browse the custom rubber grip pens at PromotionalPenStore.com and you'll find pens in basic blacks and whites as well as racier colors such as translucent greens, reds and oranges or metallic charcoals and blues. 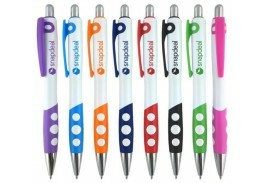 At the Promotional Pen Store, we back all of our products with a 100 percent guarantee, so you risk nothing. 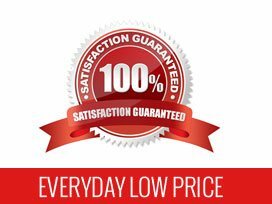 If you have any questions about our products or services, just call our friendly, knowledgeable staff toll free or send us an email.